(Trent Nelson | The Salt Lake Tribune) Winford Barlow of Finney Farm with some of his Brown Swiss cows in Hildale on Tuesday August 11, 2009. (Trent Nelson | The Salt Lake Tribune) Finney Farm in Hildale on Tuesday August 11, 2009. 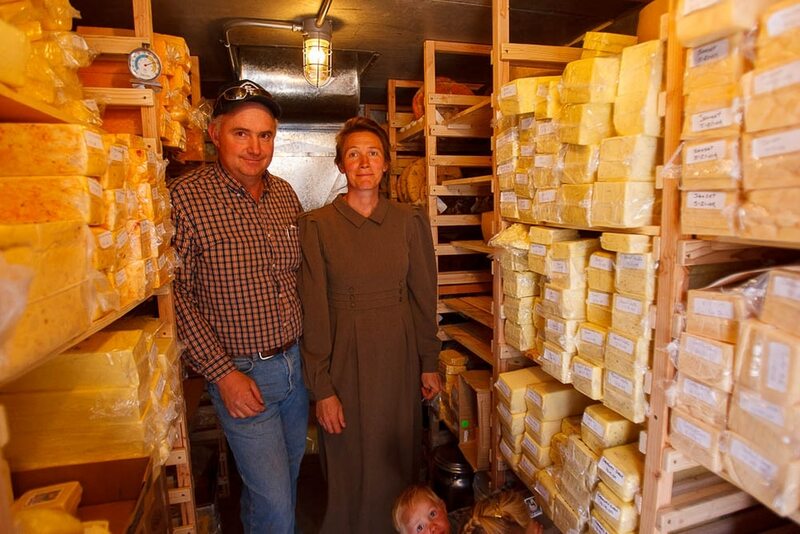 (Trent Nelson | The Salt Lake Tribune) Winford and Carolena Barlow in the cheese cold storage room at Finney Farm in Hildale on Tuesday August 11, 2009. On the same weekend in October that the Golden State Warriors edged the Utah Jazz in the final second and the University of Utah football team thumped Southern Cal, a little cheese factory from Hildale won its own contest. Finney Farm Dairy & Country Store won three gold medals in the 2018 Utah Cheese Awards. When Finney Farm celebrated on Facebook, the residents of Hildale and adjacent Colorado City, Ariz., helped the cheesemakers relish the victories. “How awesome!! Congratulations!” commented Hildale Mayor Donia Jessop, one of 40 people from the twin border towns offering their praise. For some in those communities, a path to reconciliation is paved with milk. The owners of Finney Farm have remained loyal to the polygamous Fundamentalist Church of Jesus Christ of Latter-Day Saints and its imprisoned prophet-president, Warren Jeffs, according to records and interviews. While there has been tension during the past decade or so between Jeffs followers and those who left the church, former FLDS members have been cheering the successes of Finney Farm. Those have included the gold medals, the opening of a store in Kanarraville, and the “soft opening” last week of a new store in St. George. The grand opening is Feb. 2, according to Finney Farm’s Facebook page and a video posted by the dairy’s owner, Winford Barlow. On its website, Finney Farm states the secret to its success is the milk produced by its herd of Brown Swiss cattle. 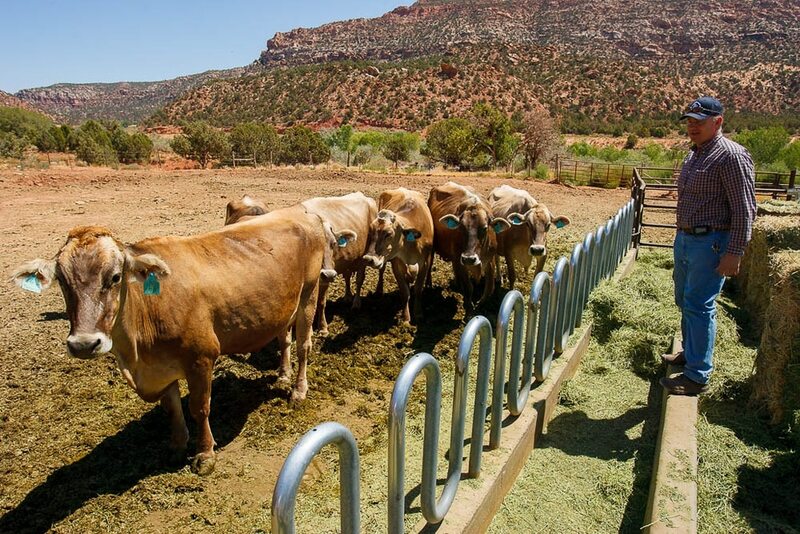 More than a decade ago, Finney Farm made its reputation in Hildale and Colorado City, collectively known as Short Creek, by selling raw milk — a niche product that requires care so dangerous bacteria don’t develop within it. (Trent Nelson | The Salt Lake Tribune) Winford Barlow of Finney Farm with some of his Brown Swiss cows in Hildale on Tuesday, Aug. 11, 2009. 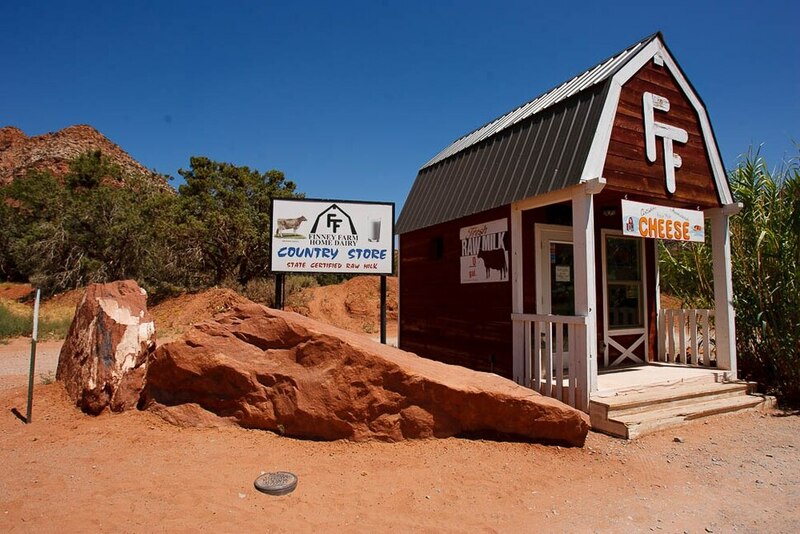 Finney Farm sold its goods out of a store the size of a tool shed on the northeast side of Hildale. Then, about 2010, Finney Farm stopped doing business with the general public. Records from the Utah Department of Commerce show Finney Farm let its business license lapse in 2011. Jennifer Barlow, who left the FLDS in 2013, said for a time Finney Farm products could be found only in the bishop’s storehouse — an enterprise exclusive for people in the upper echelon of the FLDS. “To me, it’s hats off for gathering up his business and putting it back together again after it was splattered,” said Jennifer Barlow, whose husband is a cousin to the Finney Farm owner. Then, in 2016, Winford Barlow was among 11 members of the FLDS indicted by a federal grand jury in what prosecutors called a scheme to defraud the Supplemental Nutrition Assistance Program, which many still refer to as food stamps. Each defendant was charged with one count of fraud and a count of conspiracy to commit money laundering. The indictment alleged FLDS members were required to give their government-issued debit cards or the groceries they purchased to church leaders. There also was an allegation some of the benefits were converted to cash, including $30,236 in payments on a 2012 Ford F-350 purchased by Winford Barlow. 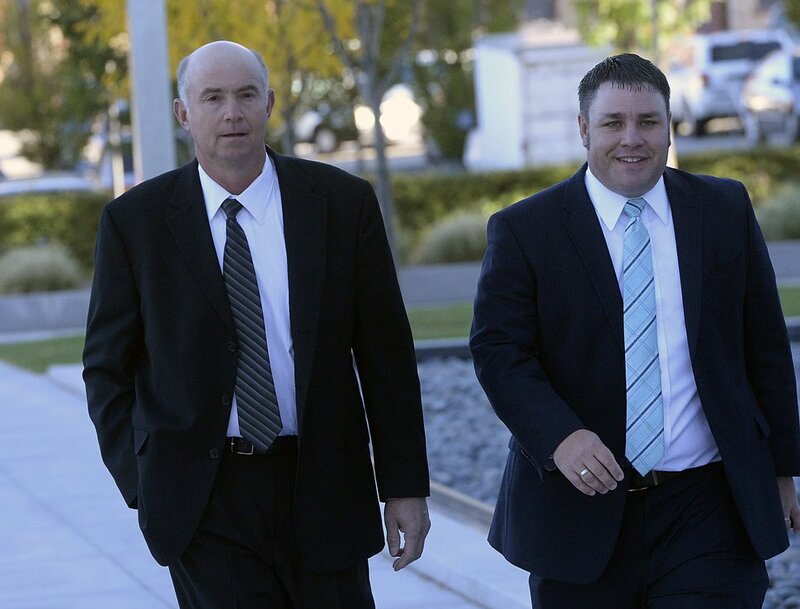 Al Hartmann | The Salt Lake Tribune Winford Barlow, left, one of 11 members of the FLDS Church charged with food stamp fraud and money laundering, walks to federal court in Salt Lake City Tuesday, Oct. 3, 2017, with his lawyer for a two-day hearing to hear testimony from FLDS members and government witnesses to determine whether defendants have a religious right to share their food stamp benefits. Two years ago, Winford Barlow pleaded guilty to a misdemeanor. He was sentenced to attend a one-time training event on the proper use of the food benefits. He did not return a message seeking comment last week. Just about two months before entering his plea, Barlow received a new business license for Finney Farm, according to state records. The Kanarraville store opened in fall 2017. Short Creek residents have been working to build a tourism and service economy there. While Finney Farm would seem like a success story, Winford Barlow has not participated in any programs with the Uzona Chamber of Commerce, said its executive director, Harvey Dockstader. Dockstader, whose family owns a health food store in Colorado City, said Finney Farm is an example of how FLDS members such as Winford Barlow still refuse to help make the larger community better. FLDS members have been required to tithe their incomes to the church. But Bateman, Warner and Jennifer Barlow doubt the Finney Farm proceeds are going to Jeffs, given there are few FLDS components left in Short Creek. Jennifer Barlow has learned to enjoy Finney Farm products, such as Kricker, a mild cheese in the parmesan or asiago family christened after the nickname for people from Short Creek. (Trent Nelson | The Salt Lake Tribune) Finney Farm in Hildale on Tuesday, Aug. 11, 2009. She shops at the small Finney Farm store in Hildale. The employees there, also FLDS members, treat her well and interact with her 3-year-old twins. FLDS members have been prohibited from procreating since Jeffs in 2011 was convicted in Texas of crimes related to sexually abusing girls he married as plural wives and was sentenced to life in prison plus 20 years. Jennifer Barlow also goes into the store hoping each visit shows the employees that life can be fulfilling outside the FLDS.